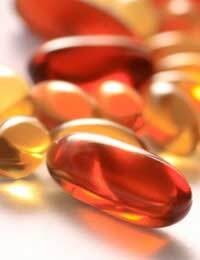 Home > Joint Supplements > Can Cod Liver Oil Help my Joints? For decades, children have been given cod liver oil as a supplement designed to keep them strong and healthy. Older people, especially ones with joint pain and/or joint diseases such as arthritis, have taken cod liver oil to soothe and alleviate joint pain. But as a joint supplement, does it really work? Can it really, as they say, oil your joints? The answer is yes. Research undertaken at the School of Biomedicine at Cardiff University looked at omega-3 fatty acids, which are the main component of cod liver oil. Although it may sound too gruesome to be true, they took discarded arthritic knees from people who had knee replacement surgery. Some were treated with the acids and some weren't, then all were given a chemical that mimicked an inflammatory response. Four days later they examined the cartilage in the knees. In those treated with the fatty acids an enzyme responsible for destroying cartilage in arthritis was turned off; the opposite of those knees not treated. Thus, they have concluded that cod liver oil can help joints. More than one million people in the UK alone are affected by arthritis. Primarily older people have the disease, but as many as one in 1,000 children have arthritis as well. While tests are still being carried out, researchers believe that cod liver oil can delay or even reverse the progression of cartilage destruction associated with types of arthritic disease. In fact, they even say that taking it could delay the need for replacement surgery, or even make it unnecessary. Cod liver oil can also help with other health-related ailments. It is useful in treating mild burns and has been found to be useful as a complementary therapy for multiple sclerosis. People with heart disease may find it helps protect the heart, and some studies have found it beneficial in treating children with middle ear infections when combined with multivitamins containing selenium. It may also lessen the unpleasant itchiness and redness associated with the skin condition psoriasis. However, as cod liver oil is high in vitamins D and A, pregnant women should avoid taking it. Some studies have shown that taking more than 1.5 mg of vitamin A daily over an extended period of time may make us more prone to fractures. Additionally, cold liver oil may contain high levels of toxins such as mercury. Taking cod liver oil need not be the nasty experience it once was, as it is available in capsule form. If you choose to take it as a liquid, however, make sure you purchase the highest quality available, as the taste and smell will range according to quality, from a pleasant sardine flavour to rancid fish. It's made by cooking the livers in steam and pressing them to extract the oil. Cod liver oil can be helpful in alleviating arthritis symptoms, and may even help halt the progression of the disease, primarily with rheumatoid arthritis, caused when the body's immune system attacks joints, causing inflammation. The fats in fish oil supplements are thought to prevent inflammation. But taking health supplements alone isn't enough. Prevention is key when it comes to osteoarthritis. The Food Standards Agency recommends keeping physically active and maintaining a healthy weight by eating a balanced diet, with a large amount of starchy foods and at least five servings of fruit and vegetables a day. Two portions of fish weekly is recommended, including oily fish which can help with joint inflammation. Bon Appetite!